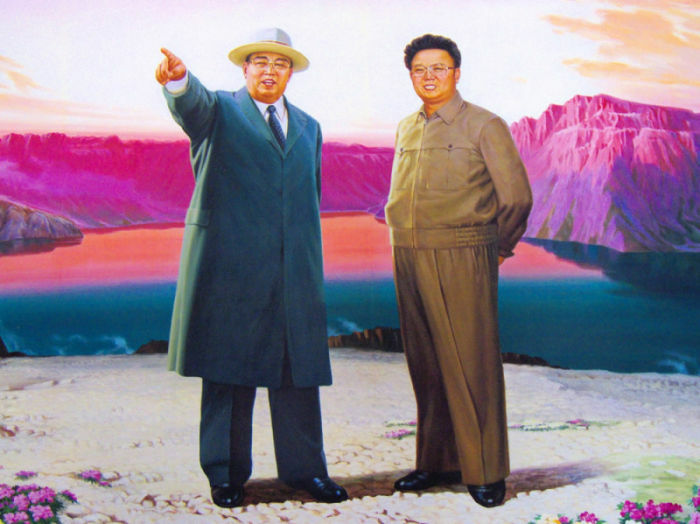 Eternal President Kim Il-sung (1912-∞) and Dear Leader Kim Jong Il (1941-2011). In the background Tianchi or "Lake of Heavenly Peace", a crater lake inside the volcano Baitoushan or Paektusan ("white headed mountain"). Tianchi Lake has a diameter of more than three kilometres and is 373 meter deep. The volcanic complex is more than 2 million years old, however the caldera formed only during a large eruption about 965 A.D. 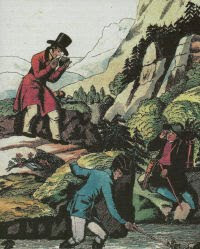 Since then at least 3 to 5 eruptions of small to moderate size occurred, the last in 1703. Curiously the lake is not only the mythical birthplace of Dear Leader but hosts also a Lake Monster.